Not sure what you want to do with your law degree? Worried about the job market after law school? Don’t worry, I’m here to solve one of your biggest law school problems: finding your career. First, give yourself a pat on the back. It’s easy to get caught up in law school, forgetting about the real world until OCI. Besides, the real world can be a scary place! My biggest piece of career advice for law students: Start thinking about your future now. But how? Click Here to Get Your FREE Self-Assessment! Whether you’re a 1L or 3L, the best way to put yourself on the road to career fulfillment today is to take a look in the mirror and determine your skills, values and desires. I have counseled a ton of unhappy lawyers, and they frequently tell me that they wish they had done some self-assessment when they were in law school. Far too often, this crucial step is skipped, and lawyers follow the path of least resistance into a career they hate. The good news is that you can earn a paycheck AND love what you do. Now is the time to sit down and think about what you really want from life – not what your parents or professors expect of you. 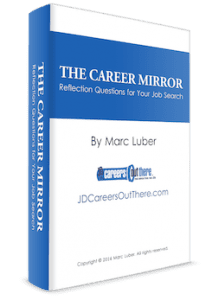 My self-assessment tool, The Career Mirror: Reflection Questions For Your Job Search, will help you envision your future. I wrote it specifically for law students and lawyers. Think about it: You can’t put yourself on the road of career fulfillment if you don’t know where you are going! After you’ve determined what you want, it’s time to find the right career. 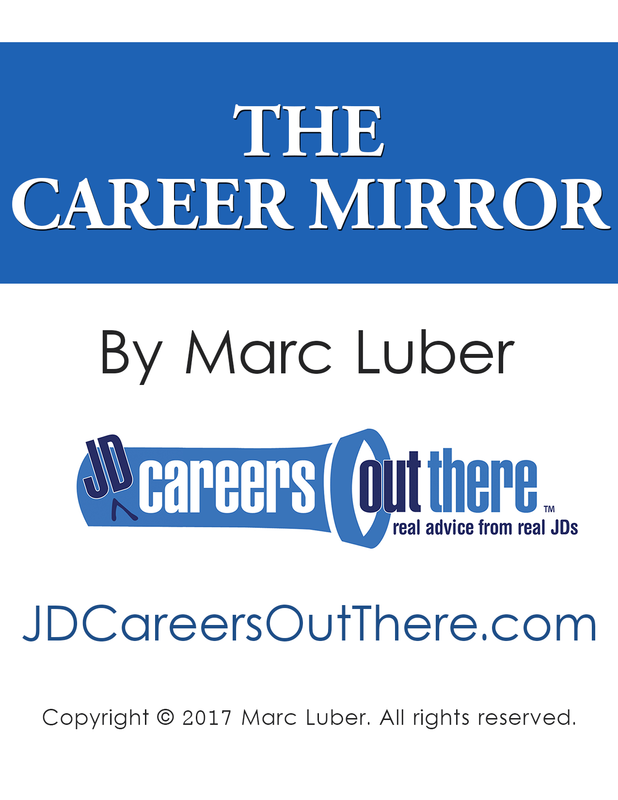 The Career Mirror will give you some concrete ideas for careers that fit you, based on what you’ve discovered about yourself. Plus, learn how to use JD Careers Out There to find out what you want to know about careers you can do with a law degree – including a wide variety of law practice areas and alternative careers for lawyers. You’ve figured out what you want and found the right career for you. The final step is to get a job! Fill out The Career Mirror so that you’ll find it easier to communicate your strengths, goals and interests This will make you better at interviewing and networking, which will ultimately lead to great results. I’ll be sending you more tips to help you break into a career you’ll love, so keep an eye out for those emails.